allegedly the actress was "inconsolable" when she chopped-chopped for her role in Les Miserables. Oh Anne, you still look cute. No worries, bb. Still though! The amount of press this haircut got was absurd! 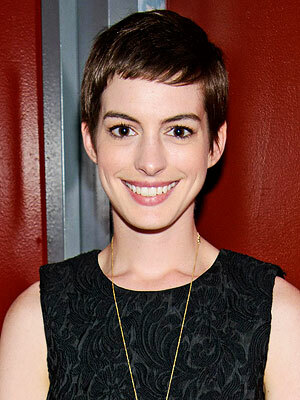 You would have thought the Berlin Wall was on top of her head and Reagan had said "Anne Hathaway, TEAR DOWN THAT HAIR."